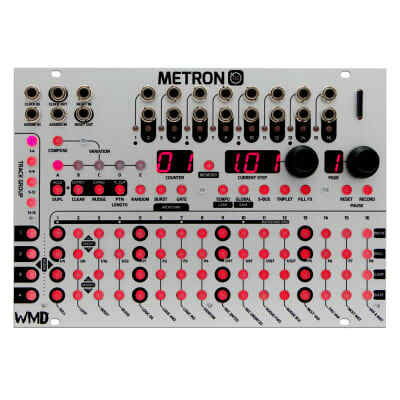 WMD is proud to announce Metron, their most recent addition to their expansive line of eurorack modules. A trigger and gate sequencer at heart, Metron is posed to be the most advanced, live improv and performance friendly gate sequencer on the market. 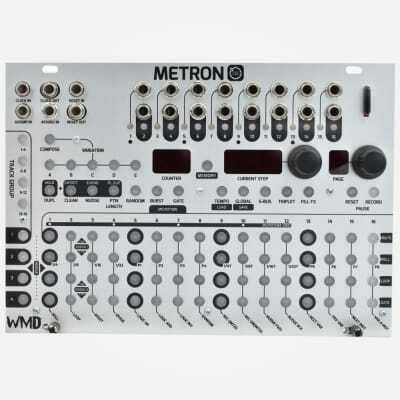 Metron is a 16 channel trigger and gate sequencer with loads of intuitive functionality, expansion capabilities, and the tools you need to create longer sequences with tons of variation at your fingertips. Easy view memory previews lets yous see a pattern before loading from memory. Expendable for use with up to 4 units displaying a total of 64 steps at once! Fully skiffable at 20mm deep!